Good morning from Albania. 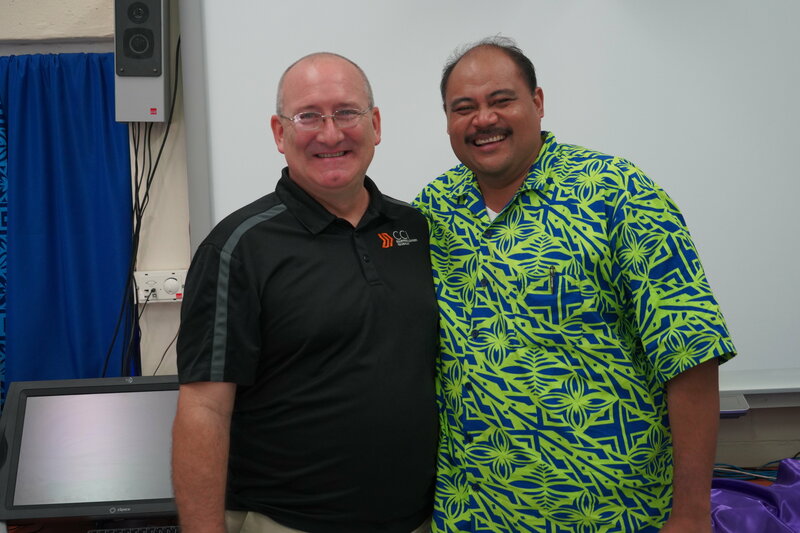 A few weeks ago, Aaron Issler and I went to American Samoa to lead a Teacher Training Workshop with pastors and leaders of Manumalo Baptist Church. Eight pastors and leaders successfully completed the training. The church is planning to start classes this month. They are ready to start and train up Christlike leaders. 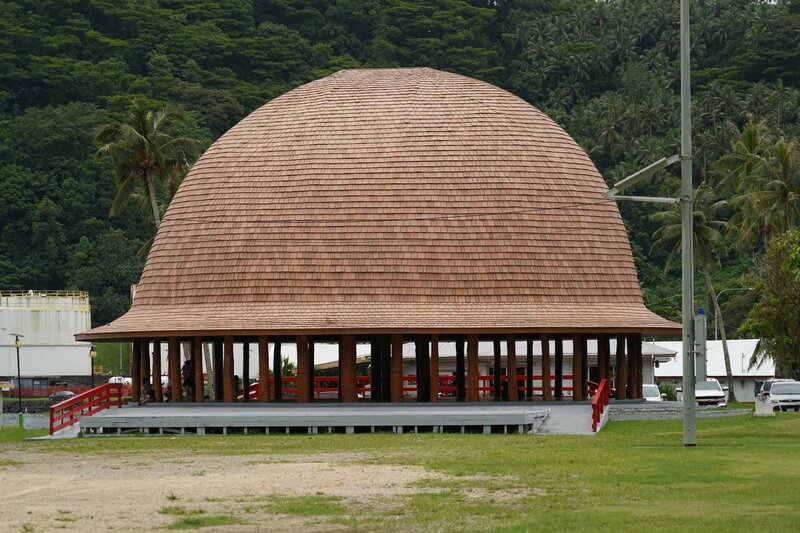 One of the buildings you will see in American Samoa is the Samoan meeting house. They are either round or oblong. According to a pastor there, when clans meet together, every man has an assigned pole to stand near and every man knows where his place is located. In Ephesians 4:11-16, we read that Christ gave gifted pastoral leaders to the church to equip “the saints for the work of the ministry.” One of the goals of this equipping is described in 4:16, where we read that the whole body will grow and become like Jesus Christ “when each part is working properly” (ESV). In other words, as each follower of Christ using his or her spiritual gifts serves in ministry and does his or her part, the whole church grows. Each member is a minister. Each member has an important part in the body. As each person does his or her part, the whole body grows. What part do you play in the work of the Lord? If each part does not do his or her part, the body does not grow. Like the various posts in a Samoan meeting place, let us find our post and faithfully serve in the place and function God has given us. Aaron Issler did a great job helping teach the seminar. Aaron will be overseeing the future development and expansion of CCI ministry in America Samoa as one of his assignments. 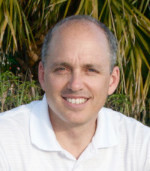 We are thankful for his leadership and faithfulness with CCI. Last month, if you guessed that David was is in American Samoa, you were correct! 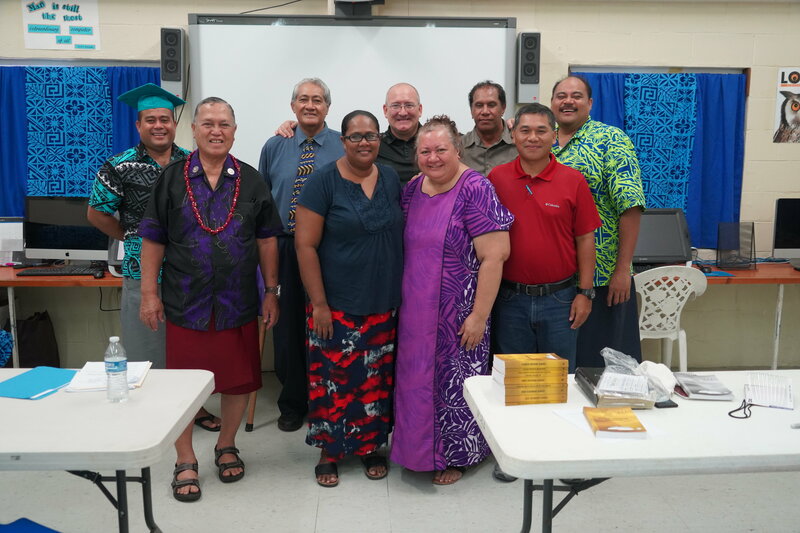 David and Aaron Issler, the CCI Regional Coordinator over the Western USA, were training pastors of Manomalo Baptist Church through the Teacher Training Workshop. The goal is to see them equip growing disciples who will serve God in many capacities. Click on the icons below to follow. 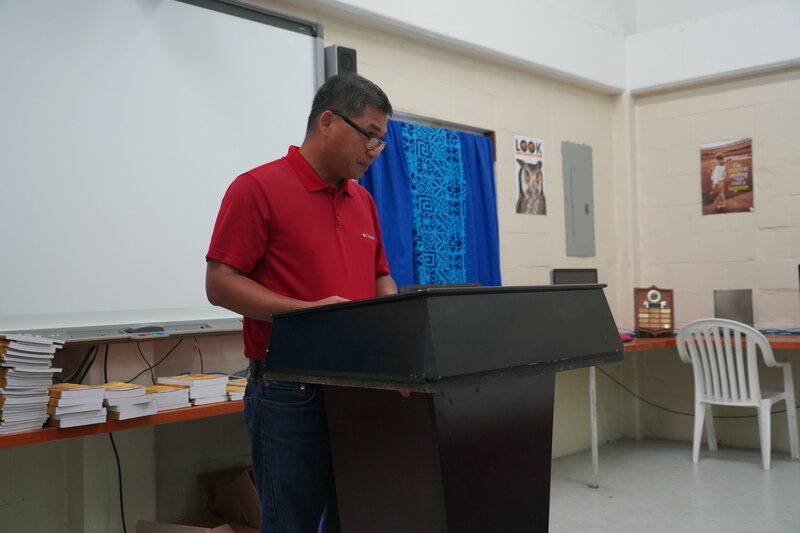 Pastor Tafao is the pastor at Happy Valley Baptist Church in American Samoa. Click the link below to hear how has CCI’s curriculum transformed his ministry.